ROUND 4 of the Women’s SBL begins with a monster Friday night made up of five games including a battle between the undefeated Lakeside Lightning and Joondalup Wolves while Rebecca Benson reaches her 200-game milestone. There are only three undefeated teams left in the Women’s SBL entering Round 4 action and each of those are playing on Friday night while two of them are facing one another. The defending champion Lakeside Lightning and the rampant Joondalup Wolves highlight the Friday night action when they clash at Lakeside Recreation Centre. The Willetton Tigers also play host to the East Perth Eagles with the Kalamunda Eastern Suns playing the South West Slammers, the Perth Redbacks taking on the Rockingham Flames and the Perry Lakes Hawks facing the Mandurah Magic. Round 4 in the Women’s SBL then comes to an end with two matches on Saturday night with the South West Slammers hosting the Perth Redbacks and the Warwick Senators playing their first game of the season at Warwick Stadium against the Willetton Tigers. The most tantalising match up of the round in the Women’s SBL undoubtedly is the Lightning taking on the Wolves in the battle of the undefeated teams. Lakeside is coming off winning the championship in 2018 and hasn’t backed off at all to open 2019. Their title defence has started with wins over Mandurah, Willetton and Perth by an average of 18.7 points. The Lightning have still had the services of triple MVP and Grand Final MVP Ali Schwagmeyer and even without a second import or Ash Grant last week, they still beat the Redbacks by 23 points. Lakeside now puts its 20-game win streak on the line on Friday night with new centre Ellyce Ironmonger coming up against her old Wolfpack team for the first time as well. Joondalup has started life under new coach Charles Nix impressively too beating Perry Lakes, Warwick and East Perth, including the last two wins over the Senators and Eagles coming by a combined 62 points. The Wolves were without Georgia Denehey and Isabelle Miotti last week, but at least Denehey will return for Friday night’s clash with the Lightning and coach Nix is looking forward to the challenge. “Georgia will be back for Lakeside, I don’t mind Craig knowing about that. We want as many players on the floor as we can so we can build on that chemistry,” Nix said. “We’re happy but we know it’s going to take us some time to gel fully and get to where we want to get to. There’s a lot of new pieces plus we’ve had some pieces in and out. But we are winning and that’s obviously great and we’re getting better each week. Also on Friday night, the Lady Hawks host the Grand Finalists of last year in the Magic at Bendat Basketball Centre. Perry Lakes comes into the game after winning for the first time in 2019 last week at the expense of the Perth Redbacks. While coming off losing the past two Grand Finals, the Magic are 3-1 on the new season having beaten Kalamunda twice and then East Perth last week following an opening round defeat to Lakeside. It should be another fascinating contest in a rematch of the 2017 Grand Final and new Perry Lakes star Rebecca Benson will be celebrating her 200th game in the SBL on top of that. She will be hoping that Mandurah’s Casey Mihovilovich is right to play so the veteran guards can have yet another battle against one another. “She is always a tough person to go up against. She’s like some of the other women who came through at that time who are just really aggressive and fight and do the little things,” Benson said. “She’s just like an ultimate competitor, Milo. She always gives us the run around, I think she gives everyone the run around, and she has actually been really important to me to help me get back to playing. “She pulled me aside after I had my first baby and told me that I couldn’t stop playing because it was such an important part of my life that I couldn’t lose. Also on Friday night, Willetton plays East Perth at Willetton Basketball Stadium. The Tigers come into the game having lost their first two games of the season but then winning twice last weekend against Kalamunda and South West on the back of a Player of the Week showing from Emma Gandini. The Eagles have lost their first four games of the season and lost twice last weekend to Joondalup and Mandurah by a combined 77 points, but that doesn’t quite show that they are an improved unit in 2019 and won’t be a pushover for Willetton. The Eastern Suns and Slammers are then two teams looking for a win when they clash at Ray Owen Sports Centre. Kalamunda is still yet to win in 2019 coming off last year’s semi-final appearance while the Slammers beat East Perth back in the opening round and then following the bye, lost at home to Willetton making this Friday their first road game of the season. The Friday night action in the Women’s SBL then finishes at Belmont Oasis with the Redbacks taking on the Flames. Perth is still hunting its first win of the season following losses to the Senators, Lightning and Hawks while Rockingham is building form nicely under new coach Craig Reynolds. They have won both their games so far over the Hawks and Cougars by a combined 56 points. Then on Saturday night, the Slammers host the Redbacks at Eaton Recreation Centre. Both will be backing up playing on Friday with South West having played on the road to Kalamunda while Perth would have hosted Rockingham. The final game of Round 4 then takes place at Warwick Stadium. It’s the first home game of the season for the Senators as they host the Tigers. 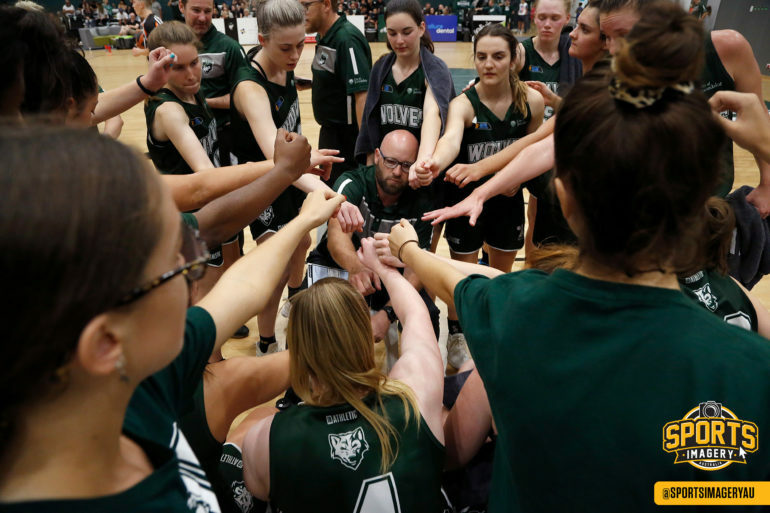 Warwick started the season with a 35-point thumping of the Redbacks before losing to the Wolves at HBF Arena by 21 points prior to the bye last weekend. They are fresh and raring to go up against a Tigers team who would have already played East Perth on Friday night in Round 4.